Throughout history, humans have consumed wheat simply to obtain energy from its starch and protein. In recent years, however, additional health-related benefits to wheat consumption have been discovered. 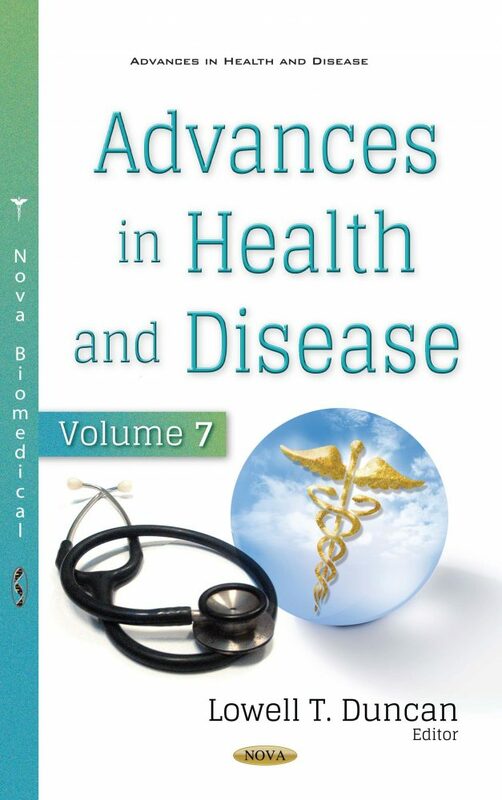 In Advances in Health and Disease. Volume 7, the authors open by presenting the results of a randomized clinical trial that show wheat intake improves cognition. The trial was initiated based on the results showing that wheat supplementation improves memory in rodent models of Alzheimer’s disease and vascular dementia. Next, this collection reviews the most recent findings regarding to colorectal cancer risk factors. Colorectal cancer onset is related to mutations in specific genes whose etiology may vary. According to the origin of those mutations, risk factors of colorectal cancer can be divided into modifiable and non-modifiable. Keratoconus, the most common corneal ectasia, is also discussed. It is usually diagnosed during puberty with most of the diagnoses being between 10 and 20 years old, and men tend to be more affected than women. Current studies show that keratoconus has a multifactorial origin mixing genetic and environmental influence. Following this, the authors propose that strength training in youth needs to carefully consider specific needs, goals and interests of the pediatric population along with their physical and psychological uniqueness. Additionally, key characteristics of strength training for children and adolescents at various maturational stages are described, along with information on practical implementation in different settings. This collection also analyzes several publications on microcirculation disorders in diabetes mellitus (DM) which restrict the introduction of methods for noninvasive assessing microcirculation in clinical practice. Ways to increase the diagnostic significance of Laser Doppler Flowmetry for non-invasive assessment of microcirculation in patients with DM are discussed. Several protocols were developed in the early and middle 19th century in order to modulate the shape of the iris or to create scar tissue at the cone in order to treat keratoconus. However, the authors propose that the first major revolution in the surgical management of these patients came with keratoplasty, as previous interventions showed unreliable and contradictory results and were gradually abandoned. In conclusion, the authors discuss Rosmarinus officinalis, commonly known as rosemary, a woody, perennial herb with evergreen, needle-like fragrant leaves and white, pink, purple, or blue flowers, native to the Mediterranean region. Rosemary extracts are used in food additives; and in traditional medicine, they have been observed to contain anti-tumor, antimicrobial and antioxidant activities.